Nikephoros III was Byzantine emperor from 1078 to 1081. He was born in c. 1002, and became a general during the reign of Constantine X. He backed Isaac I Komnenos in his successful attempt to seize the throne, serving a prominent role during the Battle of Petroe. In 1078, he revolted against Emperor Michael VII, claiming the throne for himself, with the support of the Seljuk Turks. After being crowned, Nikephoros sought to marry Eudokia Makrembolitissa, and when he was unable to do this, married Maria of Alania. Nikephoros was faced with numerous revolts, including those of several Armenian princes, and two Paulician leaders. 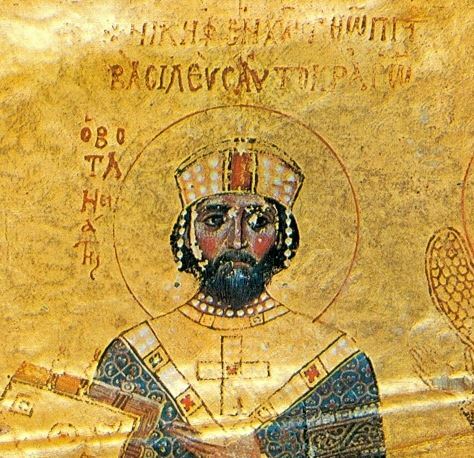 Nikephoros became increasingly dependent upon Alexios I Komnenos, who he was forced to abdicate to in 1081, after Robert Guiscard invaded on the pretext of ensuring the rights of Constantine Doukas, the son of Maria of Alania who Nikephoros refused to make junior emperor. After being deposed, he retired to the Church of St. Mary Peribleptos, where he died the same year.